Happy April! This week as something slightly different I decided to highlight five of my latest favorite (teacher related) pins on Pinterest. 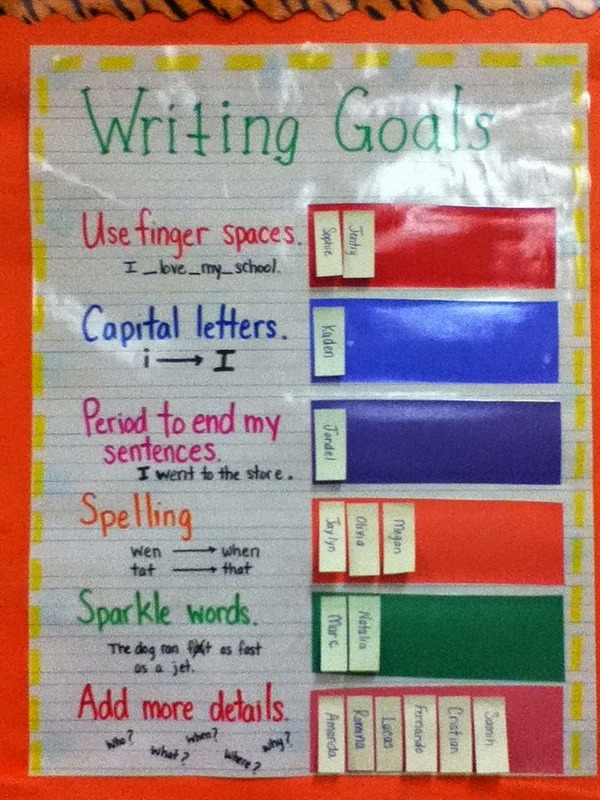 This first one is an Our Writing Goals Poster. I like how it breaks down writing into specific attributes which they can concretely work on. Although usually I am not a fan of items that publically show where students are compared to others, I feel like this poster is slightly different. As we all know, students don’t always follow an identical linear progression in writing, so you might have some students who have mastered using finger spaces but not capitalization, and another student who is great at capitalizing but struggles to make it fun to read. There’s less a focus on who’s where and more on where there headed. 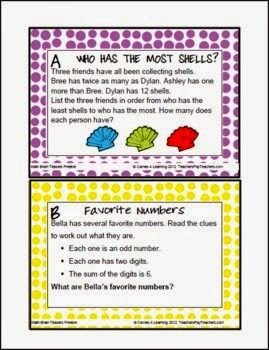 My second favorite pin lately is Math Problem Cards. These are great cards that can be used in a diverse amount of ways: Morning work, math warm-ups, as an intervention activity. I don’t know about you, but I love activities and tools that can be used in a myriad of ways. You know how you have files in your files? And they become really hard to find (and maybe you don’t have the space to alternate length, then width)? This idea is brilliant in my mind. 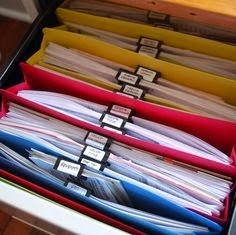 Using binder clips to group items together within the files, then labeling the binder clips makes it so much easier to find items and keeps papers neatly in place. This is a homework turn in system that is so simple, but so smart. 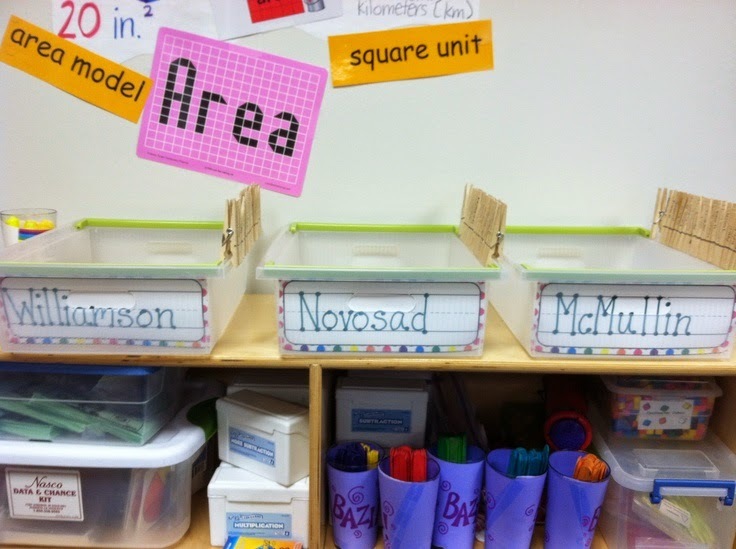 Next to the bin for each assignment area (ELA, Math, Science, Social Studies) is small container with a labeled clothespin for each student (I think clothes pins are secretly bought mainly by teachers for their labeling needs!). When the students hand in each assignment, they clip it onto their paper, making it really easy to see which students have and have not handed in their work, which gives you a chance to easily remind students during morning work to hand in homework. It also makes it easy to see who hasn’t done their homework. No more shuffling through stacks papers to check off names or grade! The Desk Fairy is one of those ideas where you wonder, are students that gullible? Then you think about how many sixth grade students secretly really do believe in Santa. 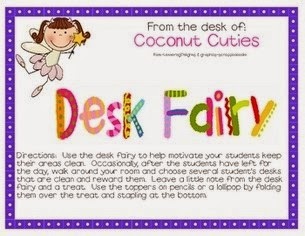 The Desk Fairy is a self-motivator for students (in mainly younger grades) to keep their desks clean. The teacher (only every once in a while to keep up the suspense and so they can enjoy the unexpected reward!) leaves a note from the “Desk Fairy” complimenting their neat and organized desk while students are at specials or lunch. Students can then choose a reward from the classroom reward binder. Brilliant! I love the hanging file idea, going to have to try that out for next year! I also love (and use) desk fairies but I also have desk dukes too for the boys and not so clean desks get desk frogs that can get turned into princes or princesses if they clean their desk. I also put a little glitter on clean desks when the desk fairy comes, the kiddos love it! Thanks for such a unique post, I loved reading it! I love how you expanded on the Desk Fairy to make it applicable to mutliple genders and I love the Desk Frogs! Too cute! Thanks for the great ideas!